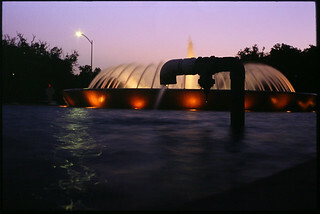 Fountain in Houston. Taken on Agfa Precisa with an Edixa Prismaflex + Yashinon 2/50. I think about a 5 second exposure.